I honestly am rather unimpressed with this latest effort from Nektar. I was excited to hear it, and I always get a little fanboyish when someone names their album Time Machine, or something else that tickles my nerd fancy. However, this album is---the word I hate to use but have to in certain situations---boring, Now, I don't use that word often. I can always find something to enjoy and appreciate in just about any medium. Infamously (with my family anyways), I tend to love "boring movies". Yet, I usually find these offerings to have a charm that consists of introspective material. I love that. Nektar's new album, though, doesn't have this. It's a straight up prog rock album that doesn't do anything new at all, and it doesn't even try. It has some good tracks and some fairly decent guitar work, but my overall opinion is "meh". The music also does not match the theme at all, as I can't stand it when an attempt at heady themes also involves little ditties. That doesn't work for me. The music doesn't match the mood similarly to how Shadow Circus' attempt at a concept album based on A Wrinkle in Time didn't have matching mood and music. That's a pretty good example, I think. So, what we have here is an album that is mildly enjoyable, but rather flat and plain. It has some neat artwork and some cool moments, but it ultimately fails. It isn't, however, repulsive, so I'll give it 3 stars. Do you know who this is? No. It's Billy Sherwood! 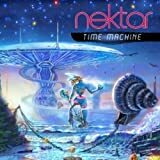 Time Machine is the fourth studio release since Nektar's comeback in the new millennium (not counting the unnecessary cover album A Spoonful Of Time). Out of these four albums 2004's Evolution is my favourite, but Time Machine holds up well with the other recent Nektar albums such as the previous Book Of Days. This time they have enlisted Billy Sherwood (ex-Yes) to play bass as well as to mix and produce the album. Sherwood's Chris Squire-like bass guitar and production talents have left their stamp on this album and is a nice addition to the classic Nektar sound which is still carried by Roye Albrighton's vocals and guitars and Ron Howden's drums and backing vocals. The four man line-up is completed by Klaus Henatsch on keyboards. Some moments even have a slight Sherwood-era Yes feel. Perhaps it comes with their age, but the mood and themes are generally reflective and backward-looking. It is fair to say that this album has a somewhat softer edge and more ballads than some previous albums, but this is mostly for the better as some of the band's previous attempts to Rock out were less than successful. Especially when they drifted into plain Blues Rock--thankfully, there's none of that here. The material took some time to sink in, and I was initially somewhat disappointed. 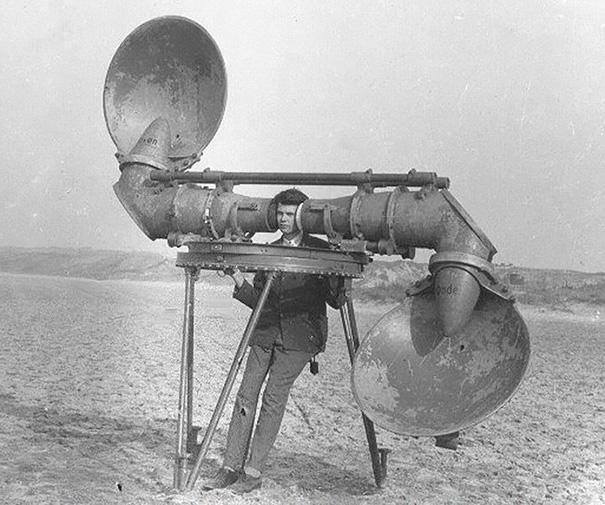 But after repeated listens a set of good songs revealed itself. The only exception is the embarrassing, Mexican-flavoured Set Me Free, Amigo which I would rather have done without altogether! There are no stand-out tracks as such, but the rest of the songs are all worthy. Anyone coming to this album expecting another Remember The Future or Recycled is bound to be underwhelmed by Time Machine. But those whose taste extends deeper into the Nektar catalogue (and especially if it covers the band's more recent efforts as well as the older classics) are probably going to like this one too. It is hardly revolutionary, but it maintains the good quality that I have come to expect from Nektar. "Seems like I've been here before / Singing the same old song..."
The first words of the opening cut off their latest album ring all-too true for this veteran '70s outfit, currently adrift without a rudder in the 21st century. 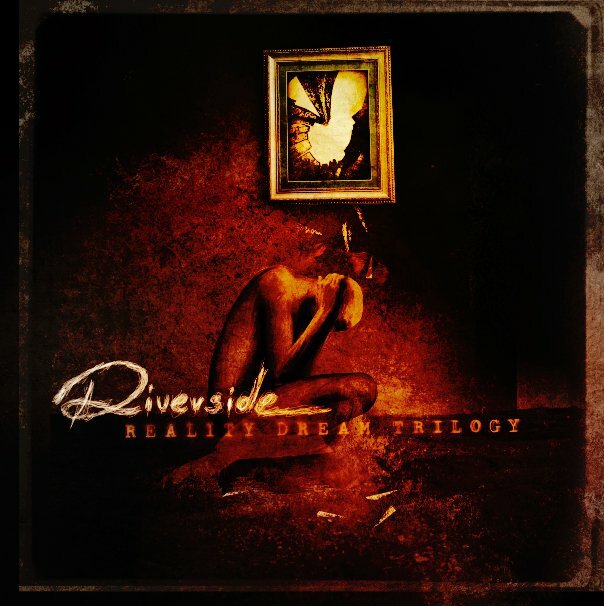 Give them credit for avoiding the copycat avenues followed by other Prog acts riding the nostalgia bandwagon: the ones that sound an awful lot like classic GENESIS or YES (with the emphasis on 'awful'). But after four decades Nektar still hasn't managed to locate a distinct musical identity of its own. In their prime the band was often mistaken for Germans. Today they favor a bland, contemporary rock aesthetic, while occasionally pushing a few well-worn Prog buttons: big symphonic chords; portentous MOODY BLUES narration (in the song mistitled "A Better Way"); trippy cover artwork, and so on. The opening moments of the album show promise, full of big Neo-Prog guitar chords and clever rhythmic syncopation, before the ennui sets in (when the singing begins). And there are some nice instrumental passages in between the routine songwriting, including a groovy title track, and a cool break in the middle of "Juggernaut", with hazy electric pianos and synths drifting across a flowing bass ostinato. But the music too often takes a path of least resistance, falling into that shapeless area between Progressive Rock and just plain Rock, in songs like "Destiny", and in the cantina pop nadir of "Set Me Free, Amigo". It doesn't help that Roye Albrighton's 64-year old voice is more than a little insecure these days. Or that Billy Sherwood's production of the music was so impersonal. Besides playing bass guitar, the ex-Yes factotum recorded and mixed the album at his own studio, investing it with the same faceless professionalism he brought to the latter-day Yes low-point of "Open Your Eyes". It's always good to hear any band from Prog Rock's golden age still alive and kicking. But not when their well of inspiration is so conspicuously dry. 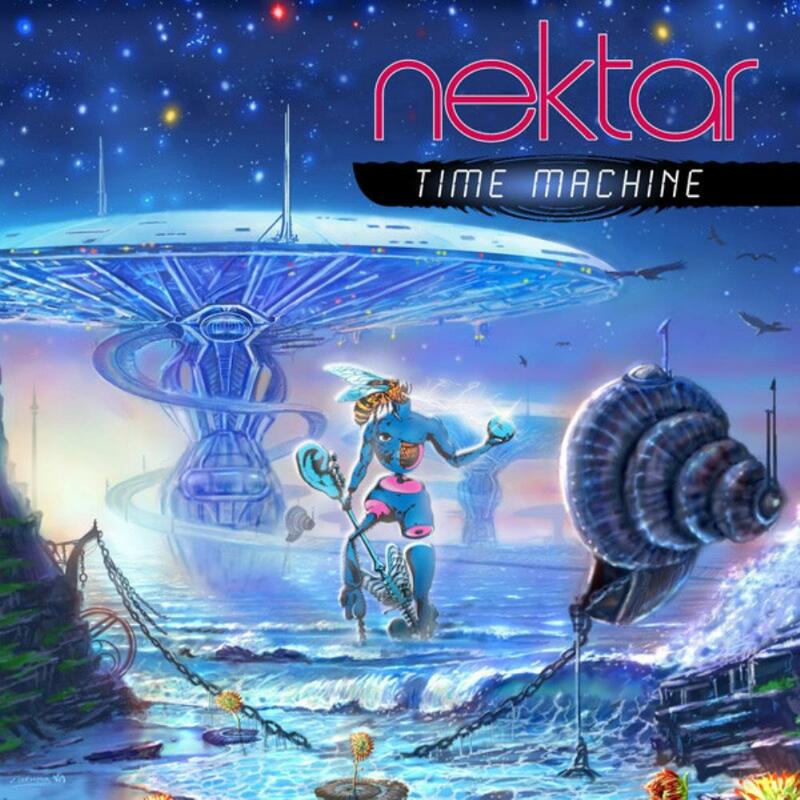 Post a review of NEKTAR "Time Machine"